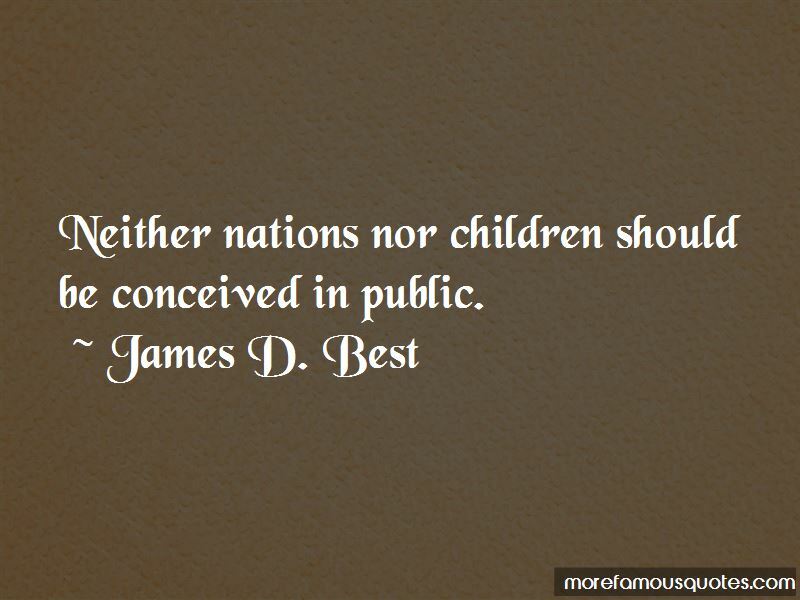 Enjoy the top 5 famous quotes, sayings and quotations by James D. Best. 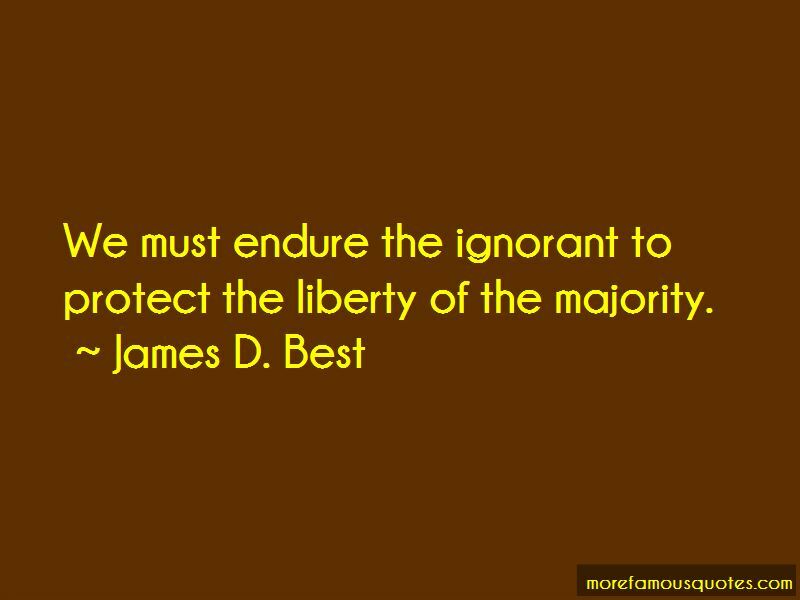 We must endure the ignorant to protect the liberty of the majority. 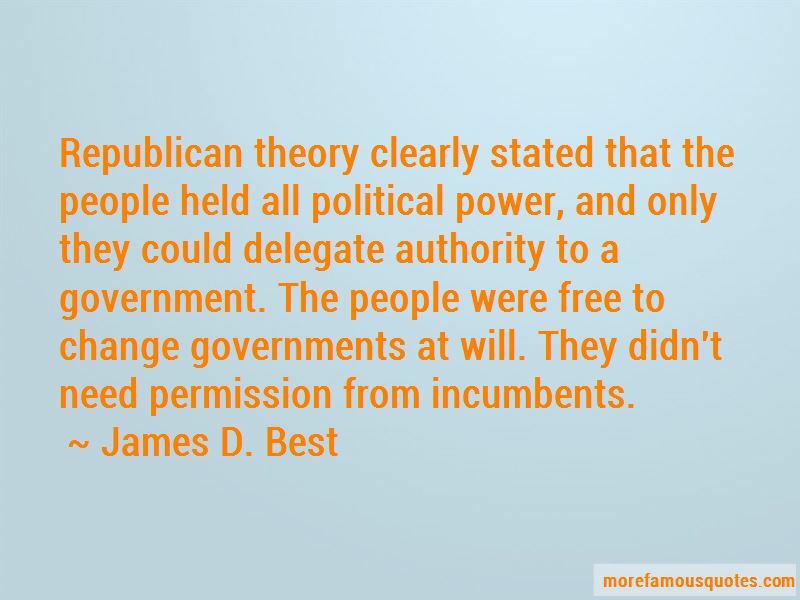 Republican theory clearly stated that the people held all political power, and only they could delegate authority to a government. The people were free to change governments at will. They didn't need permission from incumbents. He suspended habeas corpus, arrested newspaper editors, jailed Northerners without hearings or trials, bypassed Congress, ignored the Supreme Court, and even arrested a member of Congress. He justified these violations as part of the Executive's War Powers and claimed that he violated the Constitution for the sole purpose of protecting it. Want to see more pictures of James D. Best quotes? 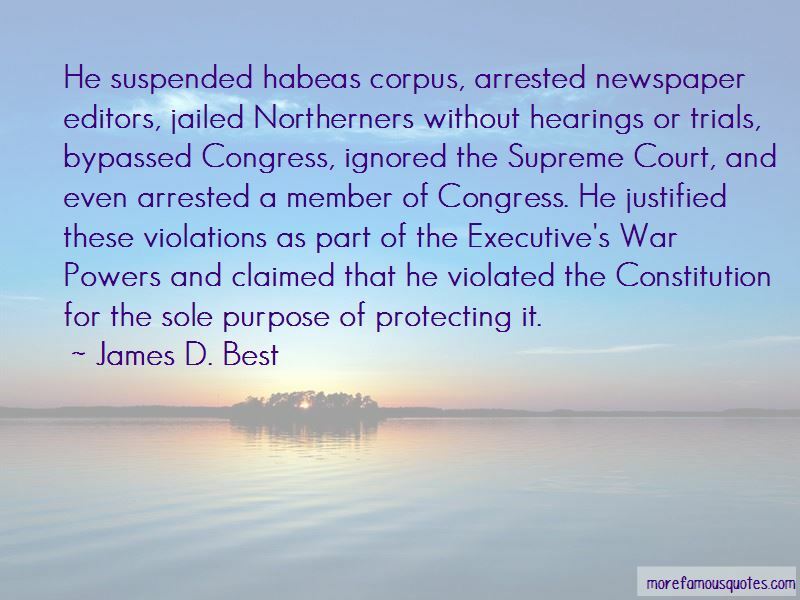 Click on image of James D. Best quotes to view full size.